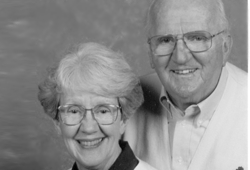 Insurance and a charitable remainder trust are the two vehicles Harry and Jan chose to utilize to make their legacy gift to Ashland University. Their interests focused on not only helping perpetuate what they experienced on campus but also express their commitment to the mission of Ashland Theological Seminary as well as the Ashbrook Center. The Browns discovered that they could use a charitable remainder unitrust to transform a single highly appreciated asset into a diversified portfolio, increase the stream of income they had been receiving and provide for several charitable beneficiaries beside Ashland. But the planning and gifting wasnt over! The Legacy Estate Programs was presented with a problem: Take a $5,000 asset that had grown to nearly $1 million and make a gift of it to charity without jeopardizing their financial independence or making their children think they were crazy. Working with their financial advisors, the Browns were able to make a $1 million gift of insurance to their charitable interests. A little creative planning can go a long way!! !